Let’s talk about the Ape Index for a little bit. 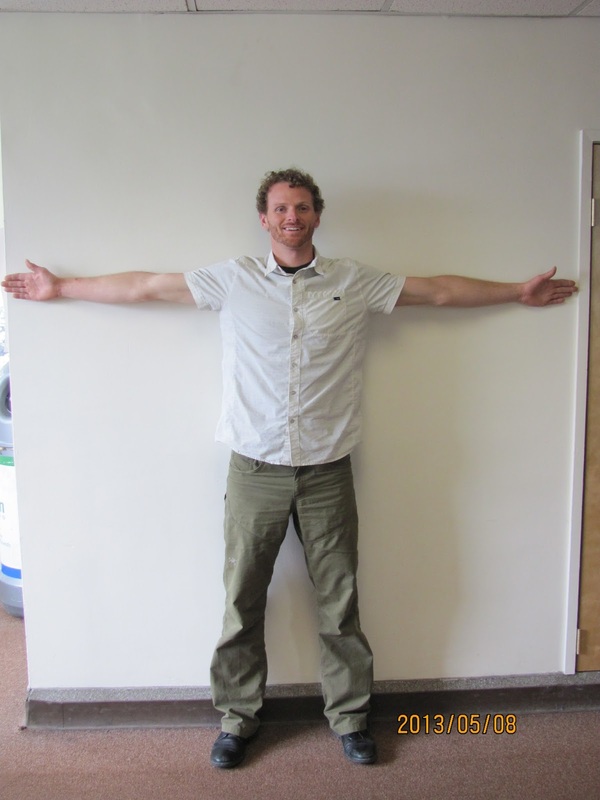 It is a measure of the ratio of an individuals arm span relative to their height. That definition is used all over the Internet and is not specific to rock climbing, even though many climbers believe that it is a specific climbing term. Anyway, if you have a positive ape index then you have a longer wing span when compared to your height and a negative one if your arms are shorter than your height. What can this indicate about you as a climber and about what potential that you have as a climber? Well here are the conclusion that I have arrived at after many years of observing those around me at the crag, gym or boulders. Many an accomplished rock climbers are not only “short in height,” but additionally have a 0 or negative ape index. Having a negative ape index just makes a climber have to be better technically, in addition to needing to be dynamic and flexible. By being good dynamically, a climber can still reach what others may lock off to grab. Also, while being flexible, the climber can use a variety of foot placements and body positions to make accessing holds possible. Strength and power are also requirements for someone who is shorter, but that goes the same for someone who is taller and with a positive ape index. The argument that because you can reach it you have an easier time is just a partial truth. In some instances having a positive ape index is a clear advantage, but experience has taught me that just because I can reach it, doesn’t mean that I have the skill to use it or climb the route or problem. The demands on the rest of your body are high, especially on overhanging and roof terrain. I would say that having the extra length from a positive ape index comes in handy on poorly bolted routes and when placing/removing traditional climbing gear. It is not cool when none of your long sleeve clothing fits properly and you must have things tailored. Personally, I have had the reach and it can do a few things. First it makes you think that you need to pull harder because you are so extended. (So I trained power to compensate for my bad technique) Secondly, it can make you get extended on your feet creating a situation where you are only used to being stretched out. (I became a predominantly a low foot technical climber) Then, you have to retrain yourself to climb with high feet/crunched up. (One stay at the Red gave me back the ability to climb with scrunched up feet. The bottom line is that your climbing style, strengths/weaknesses, favorite routes/boulders are partially determined by your body type. And that you can train to overcome any shortcomings that your body type may present.